We’ve had a bit of a shuffle around at Bodgers HQ. 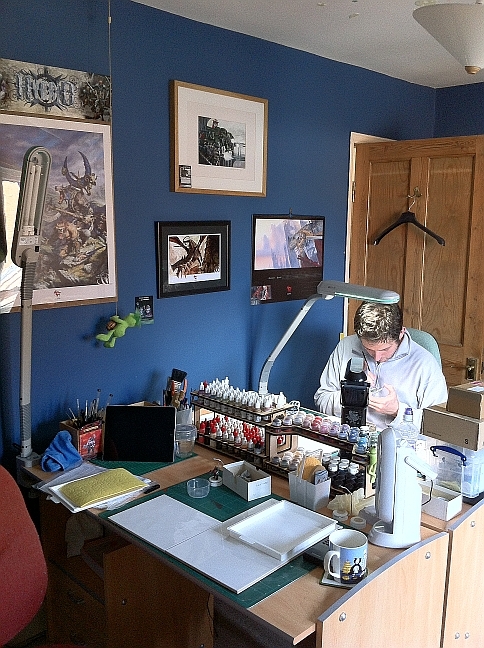 Unlike a lot of painters we know, we are very lucky to have a large spare room available to us for our hobby(ies). It’s easy to take the space for granted until you see people sharing photo’s of their painting areas. 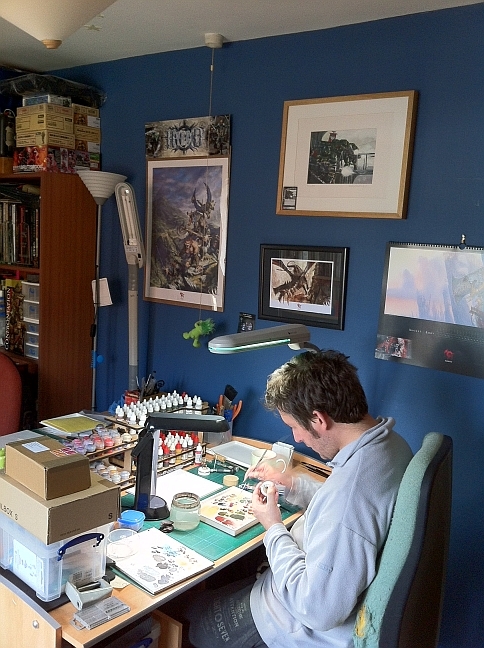 Modelers seem to be very resourceful when it comes to finding somewhere to paint; kitchen worktops, cabinets with fold-away desks, impromptu areas on dining tables and so on. Of course the creme de la creme has to be a converted roof space or a purpose built external building. *sigh* Even as a girlie, I have grandiose dreams of areas like that, but as I said, we are very lucky with the space we have. After much cleaning, hoovering and movement of furniture (in between excited shouting and jumping up and down caused by Olympic events) the end result of our weekend was a fab new space for our painting stuff. Nothng like a clearout and reset to get the mojo back. Great looking room! It looks a great little painting area but it needs dirtying up…STAT!I feel your pain in the MOJO stakes… it will sort itself out in time and maybe a reset is just what the Dr. ordered.